Linda Elam, PhD, MPH is Chief Executive Officer of Amerigroup's District of Columbia Health Plan, one of three Medicaid managed care organizations selected to serve Washington, DC. As one of the nation's leading health plans, Amerigroup serves millions of members in state-sponsored programs across the nation. Prior to Amerigroup, Dr. Elam served as Deputy Assistant Secretary directing the office of Disability, Aging and Long-Term Care Policy (DALTCP) within the Office of the Assistant Secretary for Planning and Evaluation (ASPE) at the U.S. Department of Health and Human Services (HHS). DALTCP provides leadership on HHS policies that support the independence, health and productivity of elderly individuals and people with disabilities, including issues related to integrated care, rehabilitative services, mental health parity, post-acute and long-term care, employment of people with disabilities, and the direct care workforce. The Office is home to and supports the Congressionally-established National Advisory Council on Alzheimer’s Research, Care and Services. Prior to joining ASPE, Dr. Elam was Senior Deputy Director and State Medicaid Director at the District of Columbia’s Department of Health Care Finance (DHCF). During her time at DHCF, Dr. Elam had key responsibility for implementing critical programmatic changes related to the Affordable Care Act, including Medicaid expansion and the initial work that established the District’s health benefits exchange. In addition, she spearheaded Medicaid long-term care reform activities designed to both right-size the program and improve the quality of benefits delivered to eligible residents. 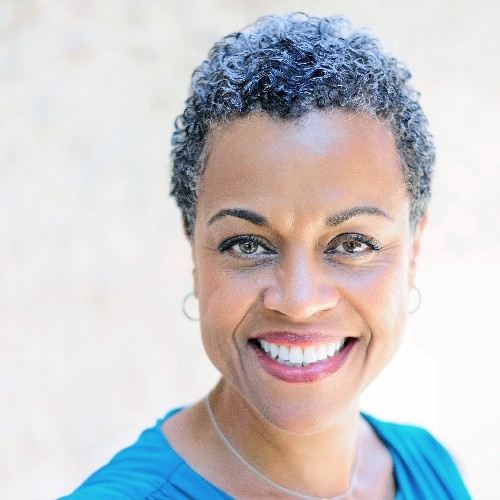 Before she began government service, Dr. Elam was a Principal Policy Analyst with the Henry J. Kaiser Family Foundation, where her areas of focus included Medicaid, prescription drug policy, racial and ethnic disparities in health care, and mental health. Dr. Elam received her B.S. in zoology with honors from Howard University, her M.P.H. in Health Policy and Administration from the University of California at Berkeley, and her Ph.D. in Health Policy and Management from the Bloomberg School of Public Health at the Johns Hopkins University. She was a 2012 fellow in the Center for Health Care Strategies/Robert Wood Foundation Medicaid Leadership Institute, and in 2013 she was inducted as an alumni member into the Alpha Chapter of Delta Omega, the public health honor society.